France Yacht Charter Vacations in the French Riviera are among the Best Sailing Holidays. Here are Itinerary ideas for Mediterranean Cruising on a Luxury Mega Yachts to Romantic Sailing in France. The gorgeous year round climate and glamor of the French Riviera make it an alluring luxury yacht charter vacation destination. Experience the animated nightlife or more tranquil anchorages for a romantic and pleasing getaway. This French destination will please in so many ways. Your personalized Mediterranean Yacht Charter will take you to some of the world’s most exciting destinations such as Nice, Antibes, Cannes, St Tropez and Marseilles. During the months of April through to October weather in the French Riviera is optimum and waters are pristine attracting the rich and famous to cruise the 100 miles of extravagant and exclusive waterfront. Yachting along the coast of Southern France has become part of a lifestyle for the world’s most elite and influential people. There are numerous ports and the destinations interesting and world renowned. There is inspiring reasons why famous painters, including Picasso and Cezanne, chose this area to live. It is breathtaking! 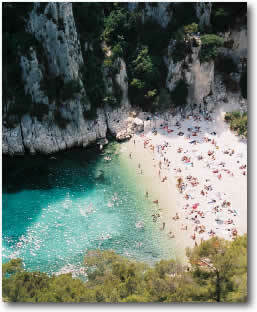 The French Riviera offers more than a one week vacation. Among the many options are a stroll down the Cannes Croisette in the footsteps of the famous, sun bathe in trendy St Tropez along side celebrities, walk the charming old port of Nice and try your luck at the casino in fabulous Monaco. Or take a week and head for quiet yachting in beautiful areas such as the Porquerolles or Lerins Islands, the Esterel Cliffs, and stunning seaside towns such as Villefranche and Eze-sur-Mer. 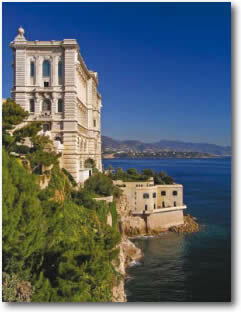 Or see the villa’d splendor of the famous “Caps” of Antibes, Saint-Jean-Cap-Ferrat, and d’Ail. The French Riviera can be the perfect starting point for an extended Mediterranean cruise, that can include Corsica, Sardinia, the Ligurian and Tuscan Italian coastal Charter, or perhaps a sailing charter to Barcelona, Majorca and Ibiza, Spain. Or simply extend your French experience. You will not want to end your perfect Mediterranean charter. There are many luxury sailing and motor yachts to choose from that sail in the French Riviera. It is a charter yacht dream land. Browse the available crewed sailing and motor yachts for a France Sailing Itinerary French Riviera Yacht Charter with a Yacht Search.